ITâS HERE! THAT HOUSE minutes to Anschutz, the shops, grocery, and top-notch eateries in Eastbridge. THAT ONE fronting Stapletonâs favorite pool and pocket park AND THAT ONE with the sort of mountain views we all love Colorado for! 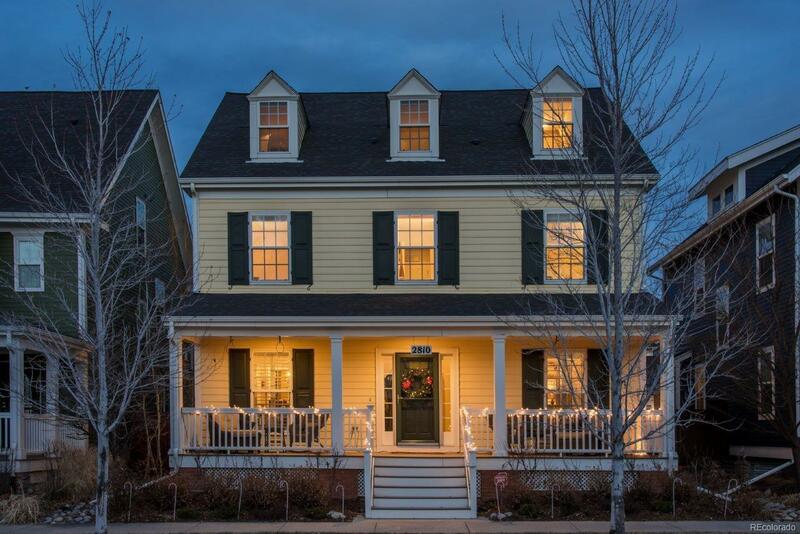 Marry that location with a timeless 3-story New England classic, daydreaming dormers and a sit & sip porch, and YES, ITâS HERE! Organized around a traditional central hallway, honeyed hardwoods connect formal dining to a butlerâs pantry, living space often used as an office or music room, and a wide open kitchen/breakfast/great room capped with a fireplace and mudroom built-ins that make momâs life so so easy! Upstairs the master suite and balcony sits with 3 more bedrooms circling the landing that also holds the laundry. That 3rd floor flexes as a 5th bedroom with a walk-in and an ensuite bath or a tree-top rec space with room for all the games! Smart lot set-up leaves lots of backyard space for gathering on the cobbled patio and under timbered pergola.